Is there a simple way of stopping user from saving and publishing when a field is empty? To stop publishing when field is empty, there is no OOTB functionality. One option how you can achieve it with minimal effort is to put item (template) under workflow and use below approach to disable saving item when field is empty. This will force content editors to fill in field values before saving and proceeding to next step of workflow. Afterwards they need to finish workflow and publish. Publish can be then manually or automatically when workflow is pushed to last step. Without filling field, publishing won't be also possible. 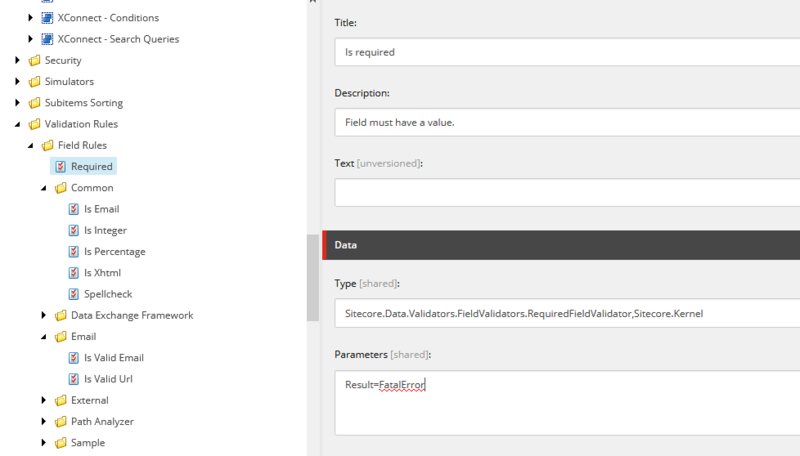 You need to apply validation rules and especially FatalError to prevent saving of item when field is empty. 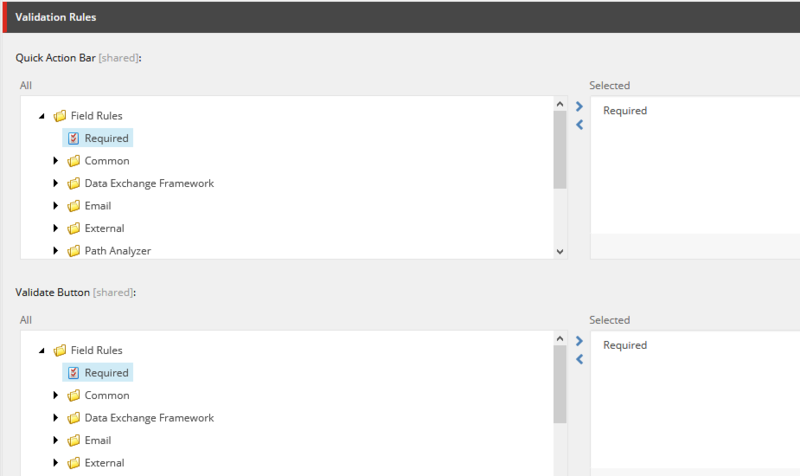 Assign validation rule for your item template - to be sure item is not saved in every scenario, you need to select the Validation Rules` section in item template and select the rules to apply in the fields “Quick Action Bar", “Validate Button”, “Validator Bar” and the “Workflow”. Not the answer you're looking for? Browse other questions tagged content-editor publishing validation or ask your own question. How can I make the publishing restrictions dialog use the user's time zone? When does prefetch cache get re-populated after publishing?